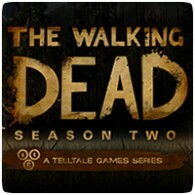 Telltale Games has released a new trailer for upcoming Season 2 of The Walking Dead, which is launching this month on the PS3 and other platforms, though no actual release date has been confirmed. Season Two will continue the story of Clementine months later, who must seek safety and survive in a infected and desolate world. There is still no work on release dates for the PS Vita, PS4 and Xbox One. The Steam pre-order suggests that the first episode, titled “All That Remains”, will launch on December 17th.